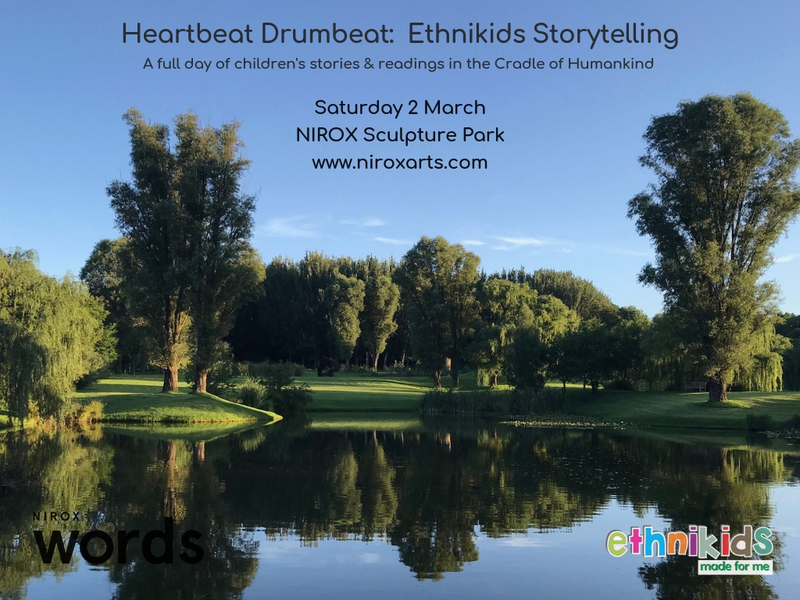 Following their successful birthday celebrations at NIROX last year, Ethnikids and its authors return to the sculpture park for a day of readings, good food and appropriate entertainment. In true African tradition there will be a drumming session facilitated by the Drum Café at 1pm. Either side of the group drumming a selection of authors will share their stories with the young audience on the hour every hour. 15:00: Mapule Mohulatsi (Mizz President). Delicious nosh will be provided by @foodiloveyou as well as NITA's Kitchen – the weekend popup restaurant in the NIROX Pavilion. Children of all ages are welcome. Bring your blankets and camp chairs, and join us for a storytelling feast in the Cradle of Humankind. Tickets can be found at www.niroxarts.com. Tickets: R150 online or at the entrance on the day. Children under 12 enter free of charge. Students & pensioners R100 at the entrance on the day. No food, drinks, pets, gazebos or sporting equipment may be brought into the park. NIROX is an outdoor venue and as such is subject to the weather. While ever care will be taken to ensure an enjoyable experience for guests, in the event of inclement weather a decision will be taken on how to proceed. No refunds. Children must be under adult supervision at all times. Entry to the park is at your own risk. NIROX is not responsible for any loss, injury or damage. Ample secure parking available at the venue.